Too often, we discount that potential impact of our communications. We give presentations that fall flat. We write blog posts that teach nothing. We crank out garbage, 140 characters at a time, on Twitter. We just don’t think those communications are important. In doing so, we utterly fail to seize opportunities to speak truth, love, and wisdom. Do You Understand the Power of Communication? I’ve had several conversations in my life where people told me I had the potential to do certain things. Three years ago, someone told me that I should be a writer. I laughed at them on the outside, but they planted a seed on the inside. God in His grace watered that seed and blessed me with the opportunity to write to you today. I meet people everyday who emotionally defeated and just plain tired. They’re not as close to God as they want to be. They’re working at a job they hate. They haven’t found their spouse and started a family yet. Usually, they feel like they don’t deserve those things. Don’t be the person who delivers that kind of message. So now you know the kind of power that you’re tapping into every time you decide to dial a phone number or put a pen to paper. This is your chance to embrace that opportunity to invest in the lives of the people with whom you’re communicating. Don’t blow your opportunity. If you intentionally take advantage of your chances to communicate with people, you can create positive change in a lot of folks’ lives. It’s up to you, however, to recognize your responsibility to do that. To abdicate that responsibility is just lazy. Great leaders are not lazy. Powerful and true! 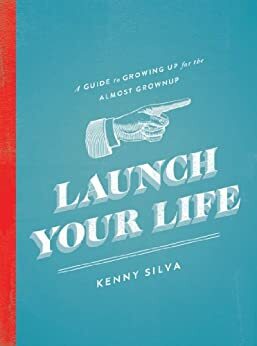 Thank you for helping me keep myself in check and not settle for mediocrity Kenny! That makes you a great leader! You live life boldly and that’s how I aim to live. Your posts are something I greatly look forward to. Thank you so much for reading and for the kind words, Brandon. I can appreciate this post as a leadership pick me up. At the same time I would take it deeper. Of course we choose what we share with the world. The issue I would focus on is what is going on in a persons life. The Christian life should be exciting and challenging. When God is moving His people can’t be silent. To see what we are going through and learning along the way is life changing for those we encounter. That is half the reason we have to go through the things we do. A leader/Christian without a recent current testimony… sounds like an oxymoron. When I run out of stories to tell about me something someone near me is experiencing that is all lit up with the power of God sparks an interest and renews my song. A Christian is a leader. Not when we decide to step forward but because we are saved and powerful.